All Carbon Monoxide Alarms that are 5 years old and older are beyond their Mandatory Replacement Time and MUST be replaced. Underwriters’ Laboratories (UL® Carbon Monoxide Standard UL 2034) now require that all Carbon Monoxide Alarms be designed to include an End of Life signal. ALL Safe-T-Alert Carbon Monoxide Alarms over five (5) years old on recreational boats MUST be replaced. Boats are often sold with out-of-date units posing a risk to boaters. Add "Check CO alarm" to your surveyor checklist so this important step is not missed in the future. Check for test button. If alarm does not have a test button it should be replaced. Remove CO alarm. Turn unit over and look for red stamped production date. Add five years to that date to get the expiration date. Replace alarm if it has expired. Check to see if device is battery operated. If it is, replace any batteries. Test electronics of device. When the unit is first powered up, the CO sensor requires a 10 minute initial warm-up period to clean the sensor element and achieve stabilization. The GREEN LED indicator will flash on and off during the 10 minute warm-up period. This unit cannot go into a alarm during the warm-up period. Steady GREEN light indicates device electronics are normal. The TEST button tests all ELECTRICAL functions of the alarm. It does not check the sensor operation. The TEST button is located on the front of the alarm. Press and hold the TEST button for 1 second. The alarm is working properly if the GREEN indicator light changes color to RED and the horn beeps 4 times. IMPORTANT – If alarm does not test properly, replace it immediately. Test CO Sensor. Use a can of SAFE-T-ALERT CO test gas to test the 400 PPM calibration point using the test chamber included with can. Consider also using a handheld CO monitor to be sure. DO NOT ATTEMPT TO GENERATE CARBON MONOXIDE TO TEST THE ALARM. IMPORTANT – If alarm does not test properly, replace it immediately. 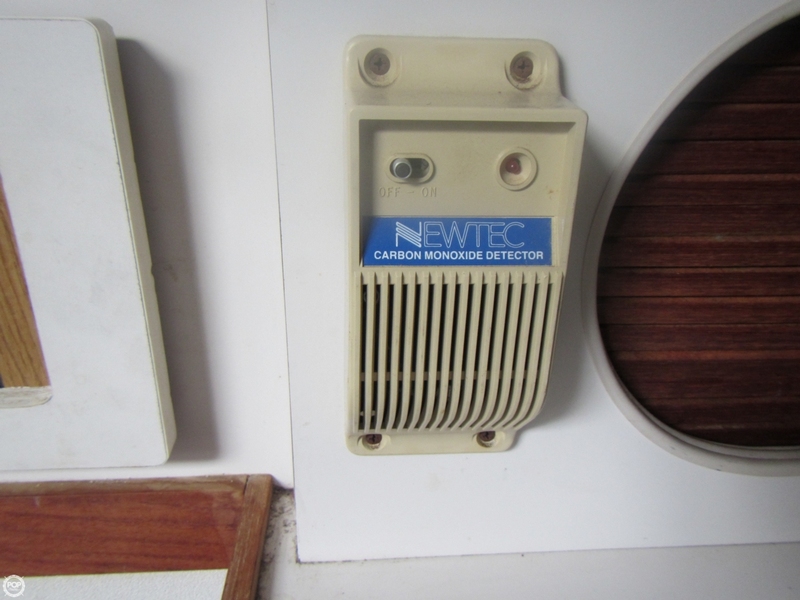 Review CO alarm testing procedures with boaters. CO is odorless, colorless and tasteless. A CO leak cannot be smelled. The initial symptoms of low to moderate CO poisoning are similar to the flu (but without the fever) and include headache, fatigue, shortness of breath, nausea and dizziness. Carbon Monoxide poisoning can lead to death.